IBM MobileFirst for iOS Express Pay gives retail associates the power to close a sale from anywhere in the store. IBM MobileFirst for iOS Express Pay gives retail associates the power to close a sale from anywhere in the store directly on their mobile device. The app allows for scanning of loyalty cards and promotional codes and offers personalized cross-sell recommendations. Combined with convenient payment options like Apple Pay, the app delivers quicker, more personal purchase experiences and eliminates the need for customers to wait in line. View real-time product inventory and promotional details to better answer customer queries and suggest products and services they might be interested in. Convenient mobile payment options like Apple Pay enable you to complete transactions more quickly. 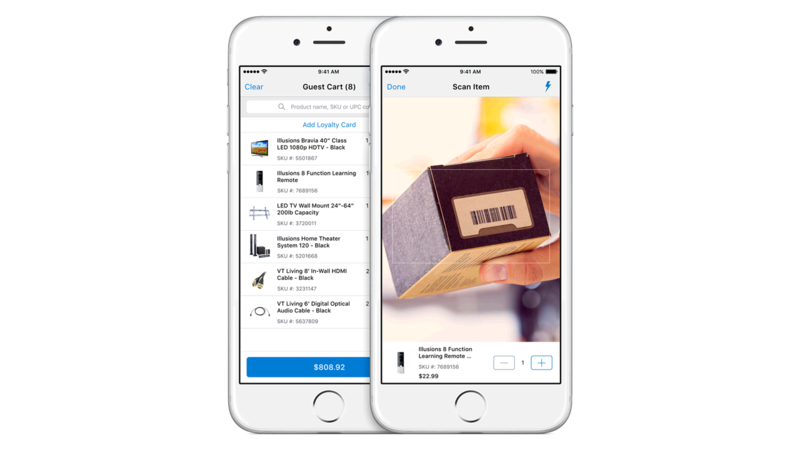 The app has Touchscreen signature capture and barcode scanning with a built-in camera. Generate reports that give greater comprehension of associate performance and customer purchase behavior. The combination of data about shoppers and associates offers insights not previously possible.